Modern technology has made it almost impossible to run a business without it, especially computers & Internet. Perhaps this reliance is the motivation why the # of Internet users has increased enormously from just 0.36 billion in the year of 2000 to 3.08 Billion in the year of 2015 which is almost 42% of the world population. Not only the speed of working and accuracy but also the reach of a business is expanded as well. The unremitting growths in the operating systems have made things even easier. The most up-to-date development in this regard is the release of Windows 10 by Microsoft which is worth an upgrade to experience a better world. 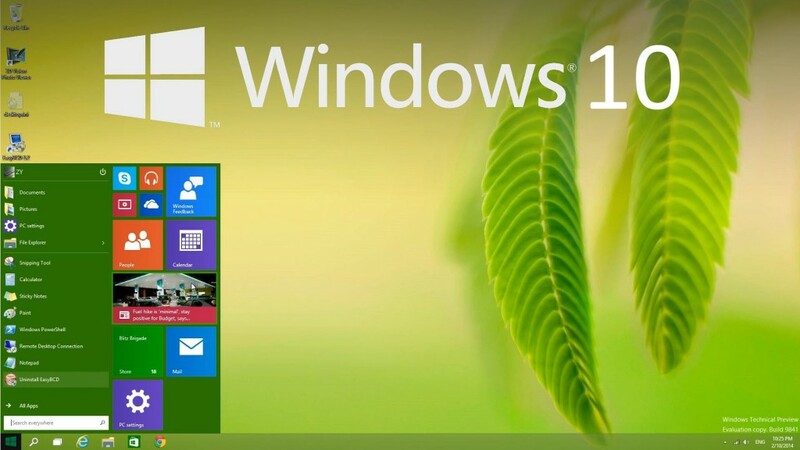 User Friendly: Unlike a previous version, Windows 10 is easy to use with a very responsive start menu that saves time and gives faster access to files, applications and function used the most. Unified Viewing Experience: Irrespective of the type of device you use, with windows 10 you’ll never have to wait for reaching office to start working on your Laptop or Desktop because provides similar working experience on your smartphone. Your phone can also be linked with projectors or laptops or any type of big screens for sharper viewing. Excellent Security Upgrades: To eradicate the security issues this new version of windows is loaded with a lot of new protection features. They not only guard the data on the system but also secure it when it is transported to somewhere else without requiring use of additional apps. Compatibility with existing apps: The compatibility of existing apps with this new OS will never be a scaring issue to deal with as this new version is designed in a way to allow upgrades without wipe-and-reload methodology. Optimistically the brief of these benefits is strong enough to convince anyone for upgrading to new Windows 10 with its releasing. Still getting the exact benefits of technology online is incomplete without taking help of experts and that’s why all of your requirements and needs can be discussed with us at Alakmalak for further business developments. Visit us at www.alakmalak.com for added info about us and how we can help you.